The Dynamic Adaptive streaming over the HTTP is known as the DASH. It is also called as the MPEG-DASH. MPEG DASH is technique related to the adaptive bitrates streaming technique that allows high-quality streaming of content across the internet using the HTTP web servers. It is an international standard of streaming over HTTP. It is different from the Apple, Adobe or Microsoft. It is an agnostic code where the HTTP can pass different types of data which is the best factor. The codec agnostic is significant as the vendors like Apple, Adobe; Google has the proprietary codec’s which don’t play up to the mark on the competitor’s devices. You generally can’t avoid these providers as their devices are popular. The thing is, you need to please everyone without troubling the consumer and hence DASH come into play regarding this. There are two essential components in the media presentation, and the basic things are the video and the metadata, and it is called as a media presentation in DASH language. The media presentations include multimedia, webcasts, podcasts, etc. The media presentation is the entire presentation that might be a movie or deals with the messages or trailers. DASH understands the need what producer wants to go with. Every video and audio is called as an adaptation. The adaptations are called as a period and every period holds some open or more adaptations. The period will allow the audio, video and other data which separates from the rest. MPEG is known as the Moving Picture Expert Group. With challenges involved in the consumer electronics and the multiple platforms, reach has challenged the content creators with costs and complications. The MPEG was developed using various standards of multimedia which are included with the MPEG-2, MPEG-4, and MPEG -7 and 21. The Dynamic Adaptive streaming over the HTTP is the latest standard for solving the complexities of the media delivery to the multiple devices. The adaptive bitrates video is superior in delivering the static video form into the single bitrates as the video stream is switched mid-stream basing on the network speed that is available for the client to watch the content. It used three different protocols for the delivery such as the HTTP Live Streaming, HTTP Dynamic and Microsoft Smooth Streaming. Every protocol used various formats and methods. So the device needs to support the content must be received from each server by supporting the protocol. By using the standards for the HTTP streaming of the multimedia content, it will allow the various standards-based clients for the content stream across the standards-based server which in turn unified the servers and as well as the clients related to the different vendors. MPD means Media Presentation Description. It can be written in XML format that provides the valuable metadata which identify the various parts or components of the stream establishing the place and sequence. A DASH player needs the important manifestation to keep the things in an orderly manner. It was going with a client’s device that segment the play. It is operated with some precision. The process of structuring the Data is known as Media Presentation Description. It is opened up in DASH in a different type of applications as well as the DASH is a strict standard of H.264. The HLS and DASH are the two different rival formats that deliver the video over the web. HLS is an old version that is supported widely, but there is no such likelihood to make it as an official standard. DASH is new and most efficient one which has no native support for the HTML5. The HLS is developed by Apple, and it can deliver the file in one go. Every segment needs 10 seconds duration to use as a video codec. DASH is an alternative format for the video streaming. DASH and HLS are considered as the international standards. Both of them are differentiated with one another mainly in supporting the DRM. Many other formats are available for smooth streaming, HDS, etc. however the DASH and HLS are the most dominant among all these things. Both DASH and HLS are based on the HTTP protocols using the Standard HTTP traffic, proxy servers as well as the ports. The main benefit is with UDP-based protocols that have a tunnel through the ports. Both are ideal for the content delivery networks as they can be cached at the edge and makes them simple like protocols RTMP. You can build the MPEG –DASH player by using the media source Extensions API towards an HTML5 video element and can find the sample codes for constructing your MPEG-DASH player. Go to the media source object that is filled with the media data from the files that are segmented. They consist of a series of single files which is indexed in the sections that can be downloaded. If you are trying to get on with the adaptive streaming setup, then you might already solve some problem. Just ingest the source code for video and transcode it to 5 resolutions with every three bitrates. Later split them into 5-second chunks which allow the best possible viewing, create or generate the MPD manifest file and use MP4Box. The Dynamic adaptive streaming over the HTTP is the best way to stream your video using the internet. 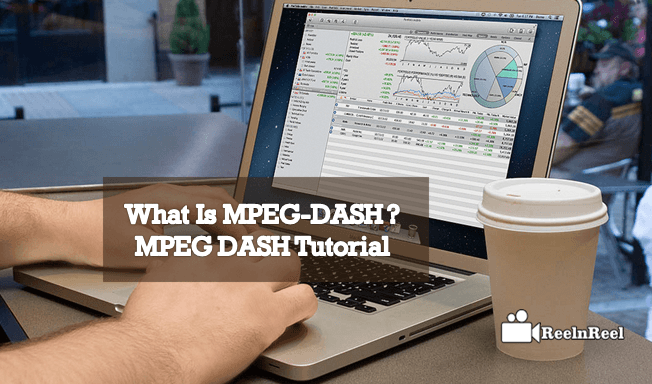 DASH utilize the multiple video files, and MPEG-DASH server can be set up using simple steps on your own.